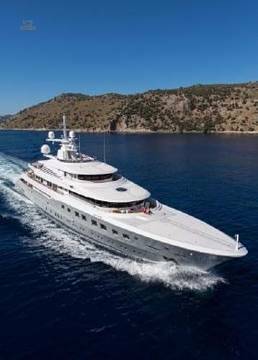 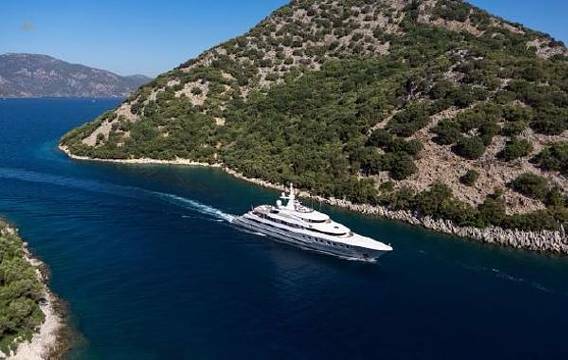 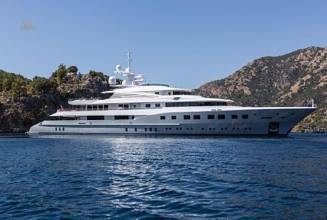 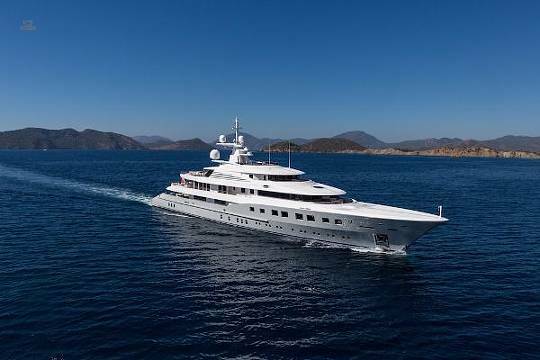 Launched in 2013 by Dunya Yachts, the 72M M/Y AXIOMA is the result of the combined skill, expertise and talent of Diana Scott for the exterior lines and the legendary late Alberto Pinto for the interior. She features stunning exterior design and a beach house-style interior that contrasts natural woods and luxurious flourishes. 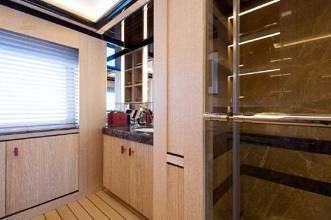 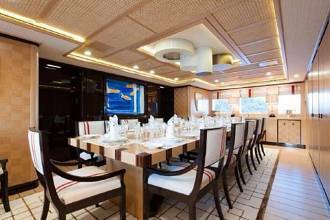 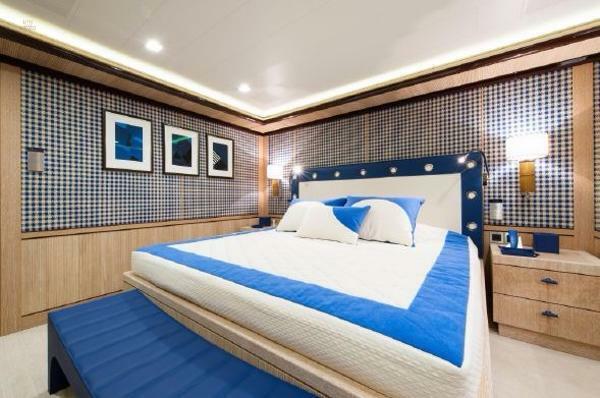 AXIOMA sleeps 12 guests in six cabins, as well as 20 crew. 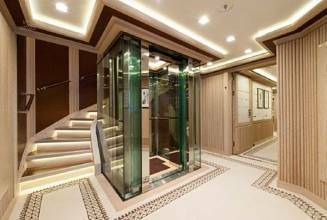 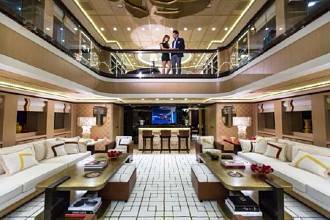 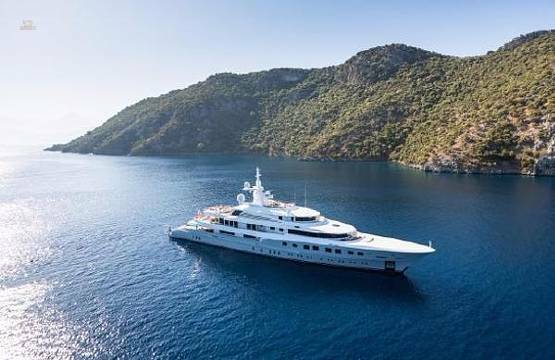 She features a superb 2-story salon atrium, an owner’s deck with private terrace, main-deck infinity swimming pool and a 3D cinema below deck. 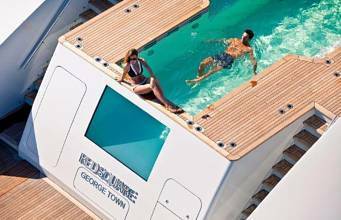 Two of her five double cabins are convertible into twins. 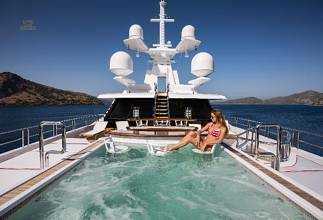 The sun deck has lounging and intimate seating areas forward and a large spa pool surrounded by sun pads and a bar on the aft. 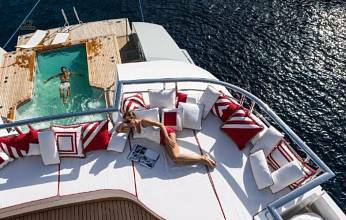 The aft upper deck offers alfresco dining around a large round table. 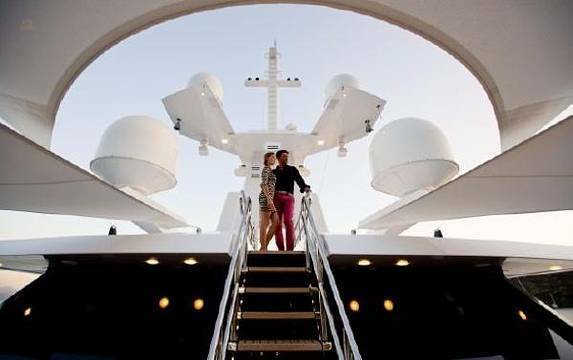 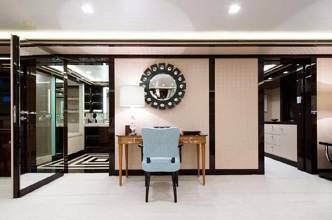 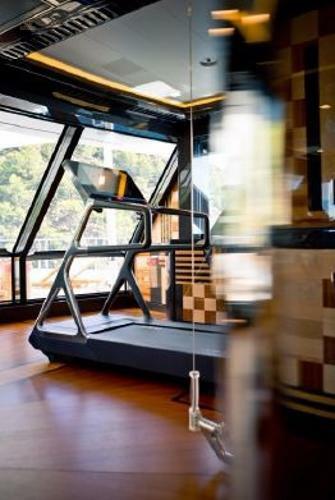 The yacht also boasts a fully equipped gym, spa and steam room with panoramic views from the bridge deck. 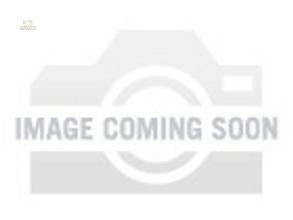 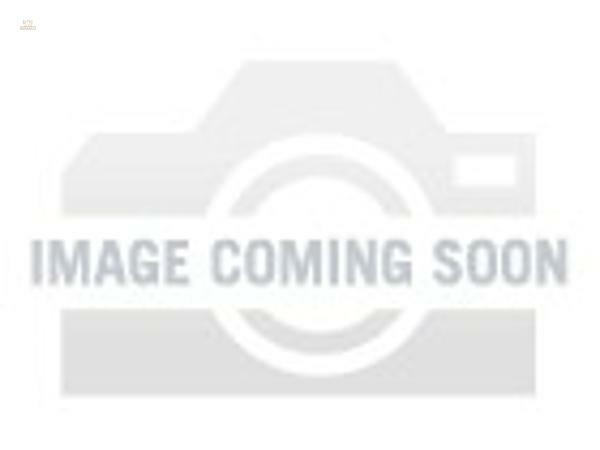 She is MCA compliant and classified by the American Bureau of Shipping. 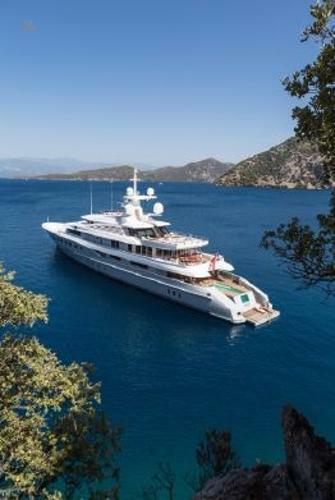 Her maximum speed is 18 knots, and she has a range of 5,000 nautical miles at her cruise speed of 14 knots. AXIOMA is comprised of 5 decks and over 3,000m of living space. 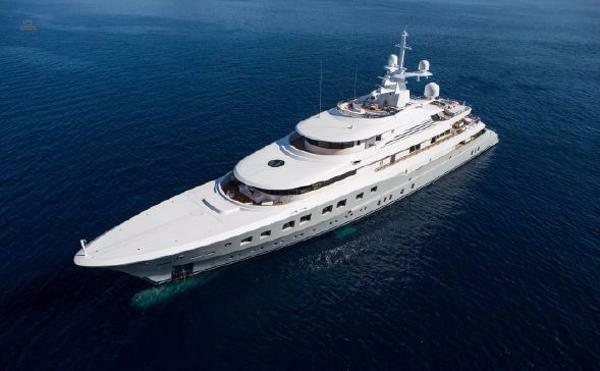 Full beam Master with private deck area overlooking the bow. His and her bathrooms with Jacuzzi tub and shower, large walk-in closet for ample storage space. 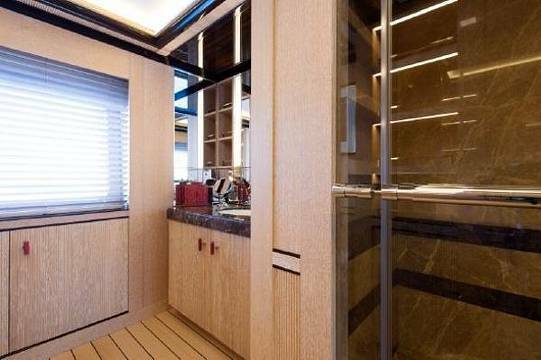 Also, offers a private area with a Pullman bunk and pull out bed. Located forward on the main deck, the VIP stateroom is full beam as well offering comfort and privacy. 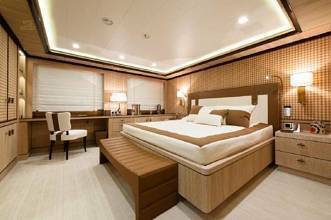 The 4 guest staterooms are located aft of the VIP stateroom. 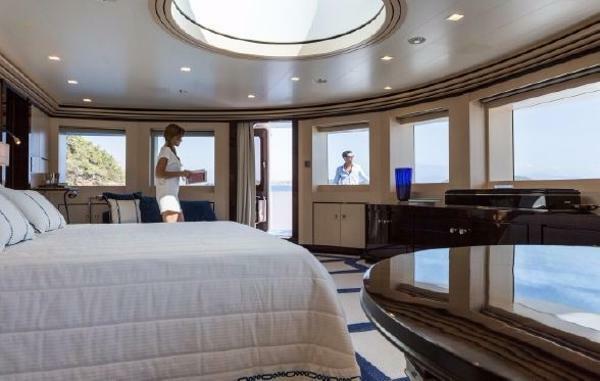 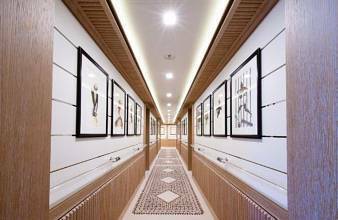 These are found in the very spacious and elegant guest foyer and mirror their adjacent staterooms. The 2 forward guest staterooms have king size beds and en-suite bathrooms. The 2 aft guest staterooms have the unique option of converting into single or an extra large king size bed. 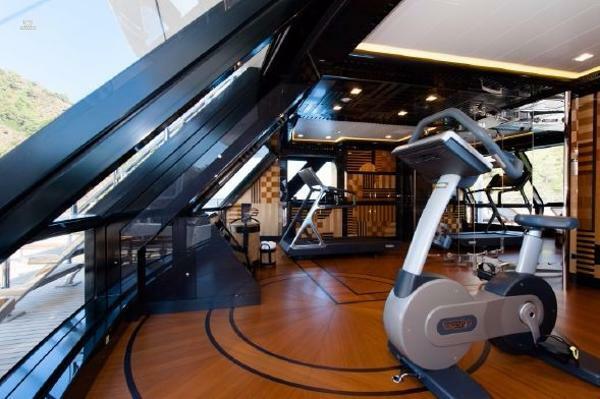 The main salon space is amplified by the atrium style balcony from the skylounge. 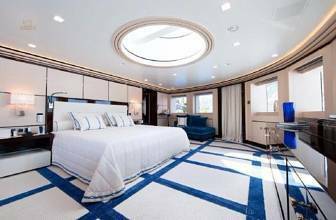 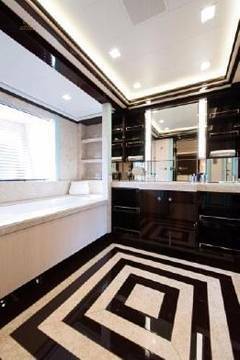 This area is unique on a yacht this size and has a warm inviting feel. The main salon dining table can easily seat 14 guests. All areas are complimented with natural light from the large main salon windows. The skylounge is another large area with a balcony looking over the main salon. The layout is beautifully designed and welcomes relaxation.